The transposable genetic elements, or transposons, as they are now known, have had a tumultuous history. Discovered in the mid-20th century by Barbara McClintock, they were initially received with puzzlement. When their genomic abundance began to be apparent, they were categorized as "junk DNA" and acquired the label of parasites. Expanding understanding of gene and genome organization has revealed the profound extent of their impact on both. Plant Transposons and Genome Dynamics in Evolution captures and distills the voluminous research literature on plant transposable elements and seeks to assemble the big picture of how transposons shape gene structure and regulation, as well as how they sculpt genomes in evolution. 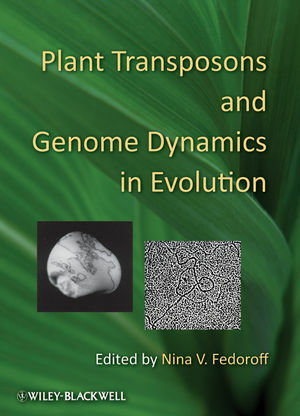 Individual chapters provide concise overviews of the many flavors of plant transposons and of their roles in gene creation, gene regulation, development, genome evolution, and organismal speciation, as well as of their epigenetic regulation. This volume is essential reading for anyone working in plant genetics, epigenetics, or evolutionary biology. Nina V. Fedoroff is Distinguished Professor of Biosciences, King Abdullah University of Science and Technology, and Evan Pugh Professor, Huck Institutes of Life Sciences, Penn State University.